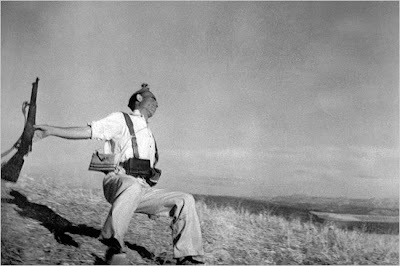 Sure, the issue as to whether Robert Capa's famous photograph "Falling Soldier" was staged or not is an old one. But that doesn't make the controversy any less interesting. Jose' Manuel Susperregui has some new information and theories that suggest the image was staged. We may never know the answer, but it certainly makes for interesting reading. Here is the latest from the August 18, 2009 New York Times.